"ASM83 Guru - TI-83 ASM Tutorials"
ASMGuru is your one-stop file to learning 83 ASM! This help file should be just about all you need to learn ASM proficiently (and time, of course), as I've written over 50 tutorials, and included a large reference section for you to look at. This is a zipped Windows Help File. 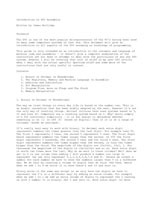 This document will give an introduction to all aspects of the Z80 assuming no knowledge of programming. 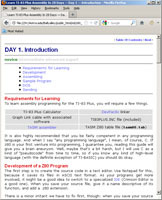 "Learn TI-83 Plus Assembly In 28 Days v2.0"
This html guide is intended so that people who have little or no experience in assembly can learn how to make calculator programs. 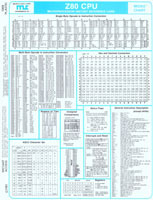 This is guide is intended for TI-83 calculator users, but other Z80 users will probably get some use out of it as well. There are two versions of the document: an HTML and Windows Compiled Help File. "Programming the Z80" has been designed both as an educational text and as a self-contained reference book. As such, it can be used as a complete introductory book on programming ranging from the basic concepts to advanced data structures manipulations. It also contains a comprehensive description of all the Z80 instructions as well as its internal operation, and should provide a comprehensive reference for the reader who is already familiar with the principles of programming, but wishes to learn the Z80. This book is the result of extensive experience by the author in the field of education and programming. As such, it has been designed to be clear and easy to read. All concepts are explained in simple yet precise terms, building progressively towards more complex techniques. The reader will gain not only an understanding of programming in the language of the Z80 rut also a detailed understanding of the way a microprocessor such as the Z80 actually executes instructions. The reader will follow the flow of execution between the various registers and along the buses. This is indispensable for effective programming at machine level in the world of microprocessors because programming is not just the skill of coding in algorithm into a programming language but also the art of designing appropriate data structures. An extensive chapter on data structures is presented which both introduces the concepts and actual application algorithms. The reader will find there lists, tables, binary trees, and the required algorithms. After reading this book, the reader should have acquired all the basic skills required to program not just at the elementary level, but in most practical cases. Version 0.91, September 18, 2005. Documents all of the undocumented Z80 commands. Written by an emulator author. This is just ONLY chapter 3 which covers the Z80 assembly language instruction set. It is a good reference. If you can get your hands on the book then you should pick it up. General Z80 programming methods (including a quick summary for experienced programmers). Routines for array manipulation, arithmetic, bit manipulation, code conversion, string processing, input/output, and interrupts. 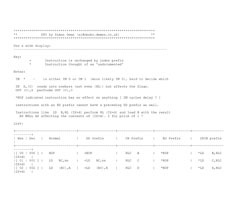 A discussion of common Z80 assembly language programming errors, as well as the strengths and weaknesses of the Z80 instruction set. Directions for implementing additional instructions and addressing modes. Speed up a program written in a high-level language such as BASIC, Pascal, or Fortran. Assist in programming an I/O driver, a diagnostic, a utility, or a systems program. Debug, maintain, or revise an existing program. 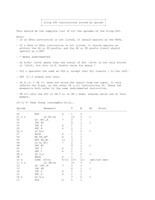 "Z80 Family CPU User Manual"
User Manual 008005 (Document No. UM008005). 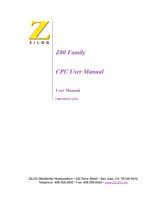 This is Zilog's official "Z80 CPU Family User's Manual." Recommended. If you can find a used or new old-stock copy of this card then pick it up. It's a valuable tool and is very handy to have in its original durable plastic form. 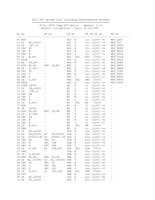 "Z80 Instructions, Sorted by Opcode"
This should be the complete list of all the opcodes of the Zilog Z80. Full Z80 Opcode List Including Undocumented Opcodes. 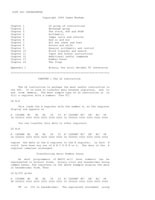 "Z80 MICROPROCESSOR Instruction Set Summary"
This is a very neat, compressed setup that can be printed in just four pages. 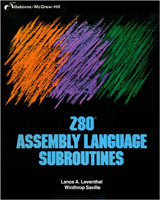 "ZINT Z80 Interpreter Assembler Handbook"
Introduction to the Z80 Instruction Set based on ZINT (the Z80 Interpreter). This has Z80 opcodes with detailed usage. A text version of the html link is also available. It might be preferable if you want to print the document. 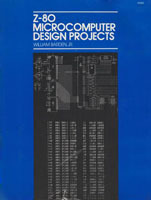 "This book provides a step-by-step guide in building a complete microcomputer, the EZ-80, and for implementing a number of different applications. Although some kit-building experience may be of help, every attempt has been made to provide a trouble-free guide to construction even for the neophyte. This 86 page databook for the Z80 and Z80A is very hardware oriented. There are many diagrams and timing diagrams. This book was printed by SGS, but I'm pretty sure this is actually by Zilog. 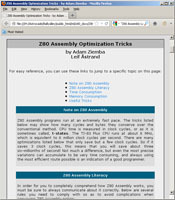 "Zilog Z80 Assembly Code Optimization"
Programs can be made to run substantially faster by optimizing their code. 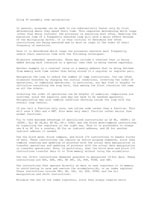 This short, 3-page document gives some pointers on how to do that.